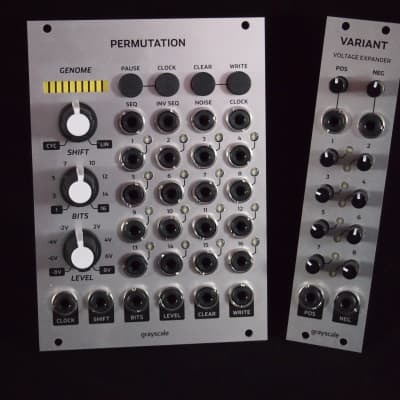 6hp version of the Turing Machine Voltages expander, compatible with all three versions of Permutation and both versions of the Turing Machine. Variant adds VC over the output level and inverting attenuators for both outputs. The CV outputs are derived from the gate sequence of Permutation or the Turing Machine.